Our engine management packages are designed for a basic system installation. We start with a base kit which includes components common to most applications. Our kits feature only top quality, name brand components and have upgrade options available to assist every level of installer. We find the Electromotive "Total Engine Control" (TEC) engine management systems to be a comprehensive system with features rivaling others at twice the price, making it an excellent value. Electromotive designed the TEC engine management system to handle high-revving race engines with the absolute requirement for performance from the ignition and fuel delivery. For engine longevity, nothing but the most accurate ignition timing and fuel delivery will do for high RPM engines. With each system we include a starting file and technical assistance. The system is easy to use and tune with basic computer skills and a little support, included with the purchase. Our goal is to get you up and running as quickly and efficiently as possible. As a certified support center for Electromotive, we configure engine management systems for many different engines and are best known for our work with Porsche. We've been providing solutions for a variety of street cars, race cars and other specialty engines for over 20 years. All TEC ignition and engine management systems start with a patented, multiprocessor, high resolution Ignition that Electromotive is famous for as a core. Its unsurpassed timing accuracy is the perfect foundation for an engine controller. 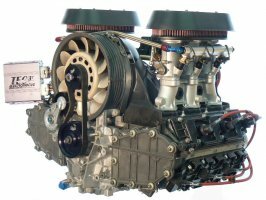 TEC-gt - 1, 2, 3, 4, 6 and 8 cylinder engines in phased mode injection or with a cam-sensor, 1,2,3,4 and 6 cylinders can run in full sequential mode and 2 rotor Rotary engines. TEC-3r - 1, 2, 3, 4, 6, 8 & 12 cylinder engines in phased mode injection or with a cam-sensor, 1, 2, 3, 4, 6 and 8 cylinders sequential mode and 2 & 3 rotor Rotary engines. Use this kit with TEC-gt200 ECU and any of our Top Coil-on-Plug kits for Dual Plug 911/930 engines.